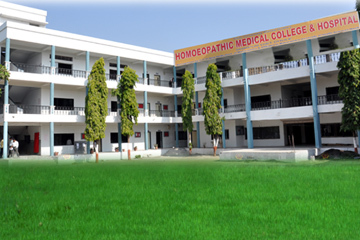 Homoeopathic Medical College & Hospital In Shirpur, Dist - Dhule. 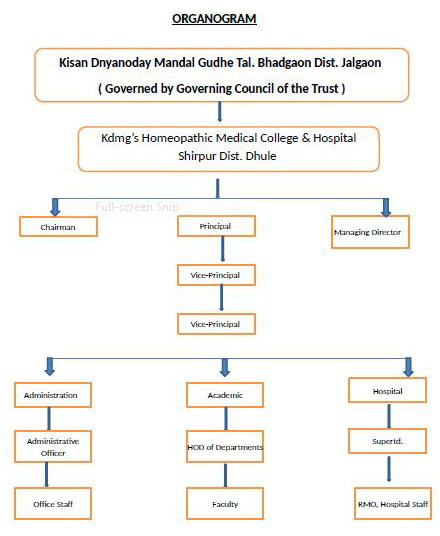 KDMG’s Homoeopathic Medical College & Hospital, Shirpur, Dist-Dhule. It was an ever felt need to have a Medical Institution in the remote, rural, tribal place like Shirpur Dist-Dhule, where nobody can dream of to open such Institution. But such dreams also became true as there is an old saying “ Where there is a will, there is a way “ and the foresightedness and the endless efforts of Dr.Uttamrao Mahajan, President of the Trust proved it true and the Homoeopathic Medical College came into existence on the Auspicious day of 13th September 1989, imparting the training of Homoeopathic Science in the form of BHMS Degree Course affiliated to Maharashtra University of Health Science Nashik. The Institute is recognized by Central Council of Homoeopathy, New Delhi with intake capacity of 75 students. So, it was a long journey of College which was started from a small rented place in the town to a huge well constructed building of its own. The College is having following all well equipped & furnished separated departments for each subject as per the norms of Central Council of Homoeopathy, New Delhi. The Trust Kisan Dnyanoday Mandal Gudhe Tal. Bhadgaon Dist. Jalgaon came into existence by efforts of foresighted humble farmers & followers of Mahatma JyotibaPhule, the great society reformer of his time. The Trust is headed by Dr.Uttamrao Mahajan, a young dynamic and visionary personality under whose guidance this social Trust came into existence & got registered under the Societies Registration Act 1860 on 26 th November 1987. We are proud to say that the Trust has almost completed a period of 25 years which was full of variety of services to the mankind like opening schools, Colleges, Medical centers, and extending medical & Technical education by establishing esteemed Medical & Diploma Engineering Institutions and Hospitals. This could have been possible by its hardworking & dedicated workers. The Trust is the parent management body having 08 Institutions offering various diploma and degree level courses of various faculty. The Trust has object to promote the growth and development of technical education as per the present need of the society. To promote the growth and development of Ayurveda & Homoeopathy. To promote medical care through Ayurved, Homoeopathy and Modern medicine to suffering humanity. To provide teaching and training in Ayurved, Homoeopathic and Allied Sciences. To provide a stage for interdisciplinary study and researches in Homoeopathy, Ayurved and other sciences. To promote the growth and development of education and to provide perfect technical and medical expertise IN Ayurved and Homoeopathy faculty. provide teaching and training and learning in Medical-Sciences. To provide a stage for interdisciplinary study and researches in Medical and Technical sciences. 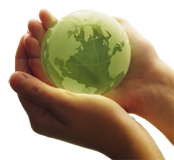 To provide health services to needy and poor people by establishing medical health centers. To establish well esteemed educational campus to meet the need of society in education and with focus on its development to achive center of excellence in Medical and technical field.To establish a center of Research and devolpment in Medical Education. To provide teaching and training and learning in Medical Sciences. To establish Institutions to meet the need of society in Medical-education in all faculties of medical science and with focus on its development to achieve center of excellence in Medical science. Kisan Dnyanoday Mandal Gudhe Tal. Bhadgaon Dist. Jalgaon is a registered trust under the Societies’ Registration Act, 1860 (reg. No. Maharshtra/901/Jalgaon) and the Bombay Public Trust Act, 1950 (Reg.No. No. F -868/Jalgaon). The Trust governs Various institutions which are extending Medical and Techical education in Khandesh region ( North Maharashtra ) specially in Jalgaon, Dhule District.